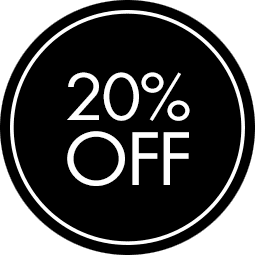 20% Off Tickets This Week Only! COMMENTS Comments Off on 20% Off Tickets This Week Only! Get 20% off FrightPass & VIP FrightPass tickets this week only! Our 20th season kicks off on Friday September 30, 2016 & this is our best season yet. We’ve got new scares and new sets to keep you screaming all season long. Visit the 2016 Frightland Calendar to see what nights we’re open this season. On October 7th, our amusements will begin lighting up the night sky with rides, games and carnival food. And don’t forget to get your souvenir photo – free with a Facebook, Instagram or SnapChat check in! To celebrate our 20th season, we are offering 20% off FrightPass and VIP FrightPass tickets good for any non-discounted night. Simply click here to buy your Frightland tickets and use code FL20 at checkout to get your savings! Offer ends Sunday September 25, 2016 at 11:59pm so get your discounted Frightland tickets now!